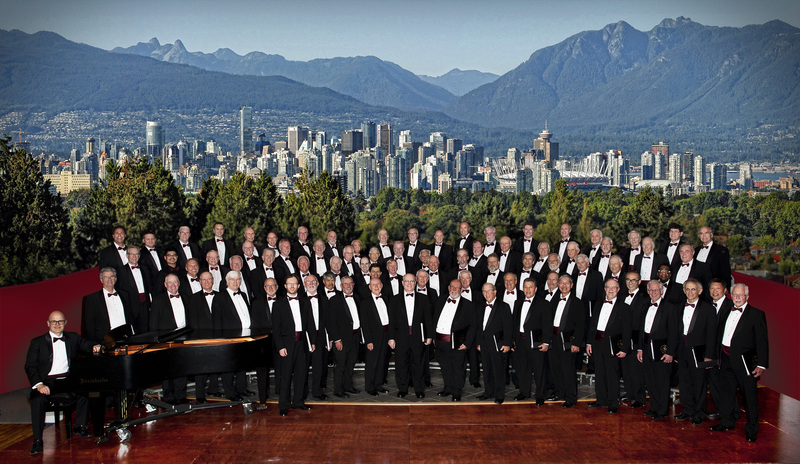 The Vancouver Welsh Men's Choir mission is "to share the joy of singing with each other and our audiences in a spirit of fellowship, charity and artistic growth". To fulfill our mission, we perform 15 to 18 concerts per year in the Lower Mainland and communities throughout BC and Vancouver Island. We distribute at least 5% of the tickets for VWMC produced concerts free of charge, through social service agencies, to care facilities and organizations to help some unable to afford a ticket to enjoy one of our shows. We perform several benefit concerts per year for charitable organizations to help raise funds for worthy causes. We've performed on behalf of Variety Clubs of BC, the Canadian Red Cross, Operation Eyesight, Lions Gate Hospital, the Burnaby Arts Centre, the Fraser Valley University Fund, the Ladner Boys and Girls Club, the Canadian Orthopaedic Society, First United Church Respite, Tsunami Relief, Y.A.N.A., Oceanside Hospice, and many more. Our Donor Recognition Program publicly acknowledges contributions to the choir from individuals and corporations in our printed concert program, and offers special benefits to donors and sponsors. Donor requests for anonymity will be respected. Complete details are provided in our downloadable Donor Recognition Program brochure below. Please consider a tax deductible contribution to the Vancouver Welsh Men's Choir to assist our mission. Simply click on the "Canada Helps" graphic below. This links to a secure site where you can donate by credit card and will send you a tax receipt. We thank our sponsors for helping us bring our music to you! We are very grateful for your donation. Please click on the yellow button below and enter the amount at the prompt. You will need to log into Paypal using your email and password, and you will get a receipt by email.